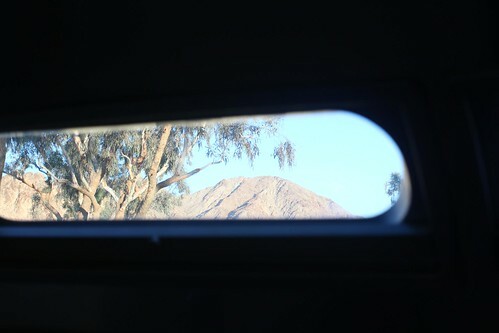 Mali Mish - Day 202: The Airstream Land Yacht Concept and Palm Springs. Last night was our first night of camping with electric and water since we left Houston almost 3 weeks ago. We had electric in Gilbert Ray and should have had access to a running toilet in Marfa but it needed a plumber. It is nice to use the sink without hearing the water pump running every time and it makes things with kids so much easier. 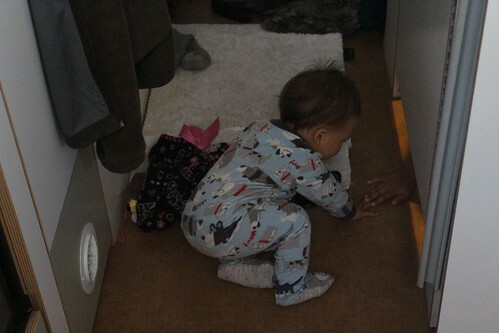 Luka also found out that if someone is in the bathroom, it means playtime for him. Even though the Vintage Trailer Show isn’t for a couple of days, we drove by to check out the setup. 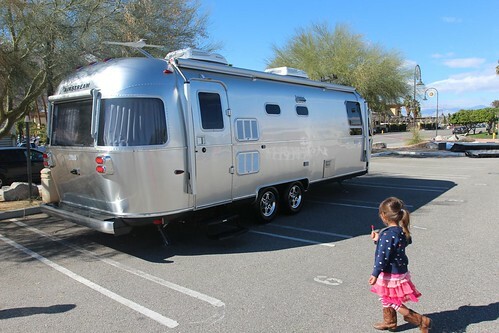 One of the exhibits we wanted to see is the Airstream Land Yacht concept trailer that has been touring the country. It is a 25 ft FB floor plan just like ours but at the same time, it is nothing like ours. Right off the bat, you can see a few differences in this photo. There are 2 grilled vents next to the door. Presumably it is for the water heater and furnace. 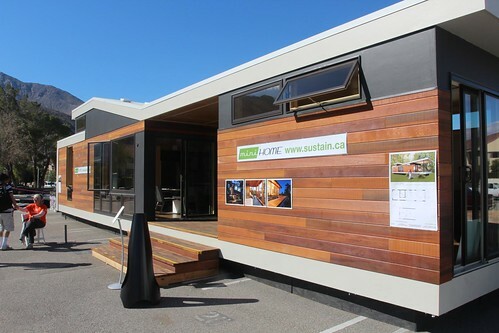 There are also dual AC units as well as the new Zip-Dee power awning. We were not able to go inside to see the trailer. That will have to wait until when the show opens up on Saturday. 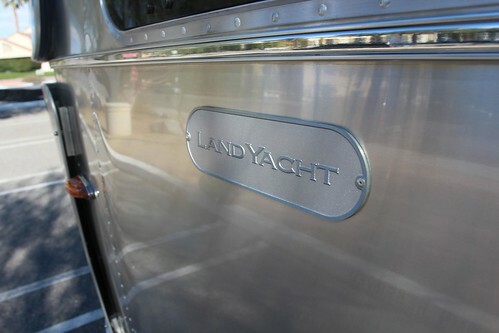 On the outside, a lot of cosmetic touches were added to make it look more ‘nautical’. 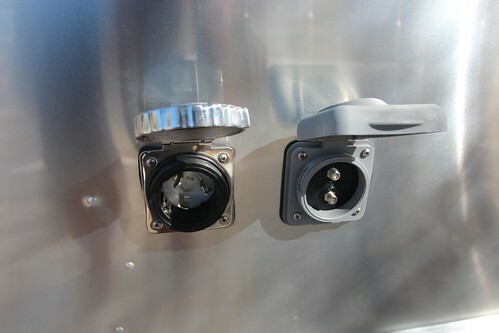 Like the stainless cap for the 50 amp plug. 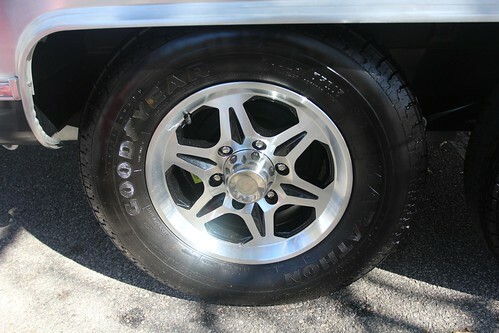 Surprisingly, on this high-end Airstream, they opted to go with Goodyear Marathon trailer tires. The Michelin LTX tire are all the rage these days and are much better for extended use. I suppose it kind of makes sense being that this trailer is expected to do more sitting than moving. 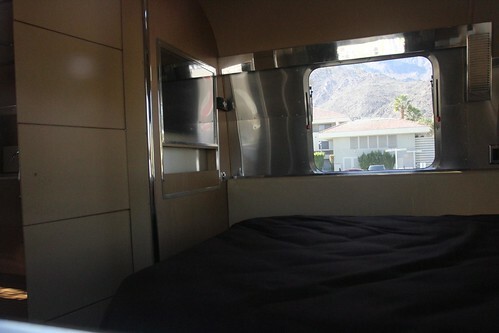 This is the bedroom interior as seen thru the window on the street side of the trailer. The Land Yacht is actually on display next to all of the pre-fab buildings in the parking lot here. 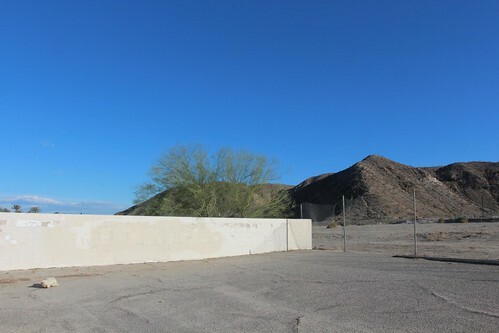 If we ever get ourselves some land, we would love to put something like this on it next to the Mish. On our way back to the campground, Marlene wanted to stop by and check out some thrift stores. Supposedly there is one thrift store called Angel View that is like a jackpot of goodies. All of the retirees take their old junk here when they downsize. The only thing we found was this sad little abandoned pooh bear laying face down in the back parking lot. 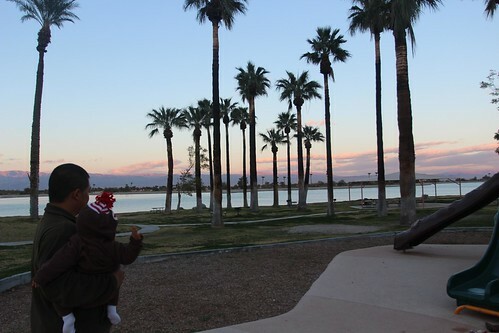 With a little sun left in the day, the kids got to play at the playground for a minute at Lake Cahuilla. 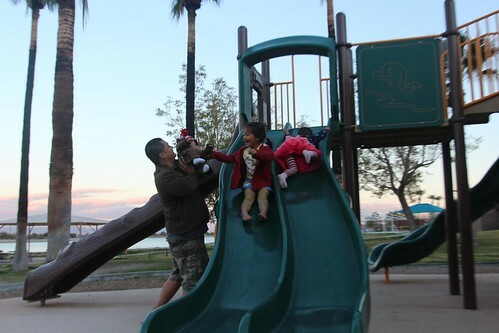 These kids never have any fun. 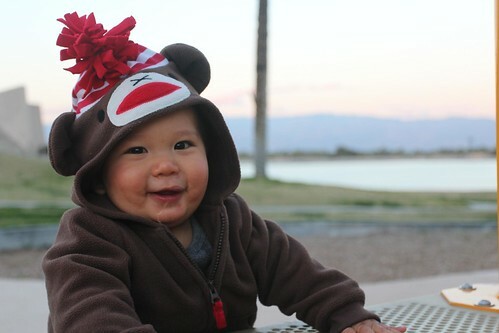 This little monkey never drools. 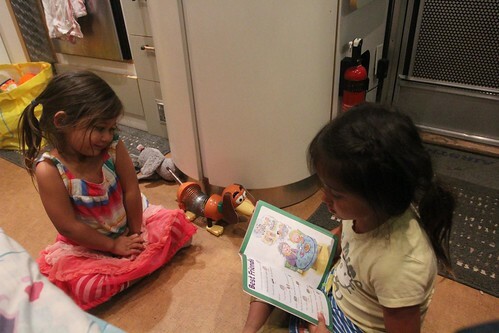 Time for Ava to read a little story to Mila before getting ready for bed.